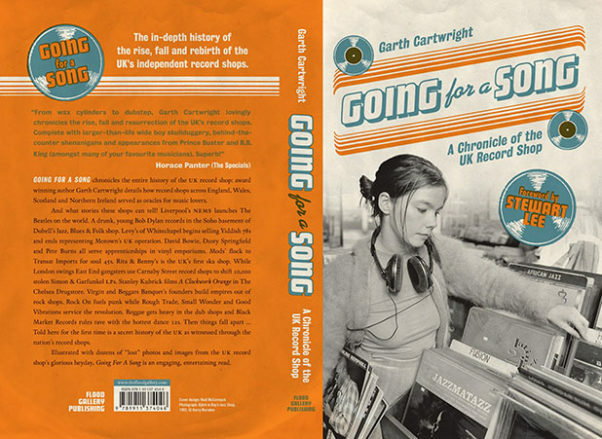 AUTHOR GARTH CARTWRIGHT’S book, Going For A Song – A Chronicle Of UK Record Shop is a fascinating and essential read for all vinyl record hounds. This publication is much more than some sort of historical reference guide. The author’s love of music and the sounds of those grooves is felt throughout the pages. It is the tale of how these stores created a cultural revolution. Many interesting revelations get uncovered here, including Boy Dylan’s midnight jam and recording session in a London record shop. Plus, it’s revealed that David Bowie, Elton John, and Dusty Springfield were all briefly record store employees. We also learn about the decline these record retailers experienced in the digital age, along with the current resurgence of vinyl. Another highlight of the book are the numerous and amazing images which are included. Here is a brief interview that Record Collector News had with author, Garth Cartwright. How extensive was your research? Oh, it became obsessive. 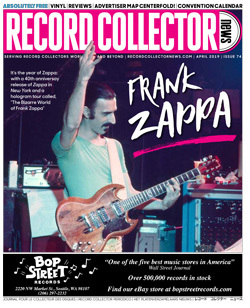 I spent years researching the book, interviewed over 100 people — this ranged from octogenarians who recalled buying jazz and blues 78s during WW2 to Geoff Travis (of Rough Trade) and Martin Mills (founder of Beggars Banquet — first a chain of shops, now the world’s most successful independent record label conglomerate) to young guys who ran dance shops in the 90s. John Kennedy of Big Apple Records ran the shop and label where dubstep was created — and I managed to track him down! How cool is that? The many images you use are amazing. How hard was it tracking them down? Is there any difference between U.K. and American shops? Not the chain shops and maybe not the second-hand shops — which tend to be run by men who are a tad deranged — but what perhaps marks more of a change is how much more genre obsessed UK shops are. From when jazz shops first took off in the 1940s there’s been a really intense commitment to specific musical forms — jazz (Dobell’s being the most famous), folk/blues, ska (Desmond’s Hip City — legendary ska shop! ), R&B (the mod shops like Transat and Soul City)psychedelia (most infamously the Chelsea Drugstore — as featured in A Clockwork Orange), funk/disco, punk, reggae/dub shacks, rap, then house-techno-jungle-garage-dubstep… Just as the UK is famous for throwing up all kinds of musical fashions and movements its produced record shops that matched them. I don’t think the US has had quite the same commitment to musical fashion. Also, post—WW2 immigration to the UK brought all these great Caribbean and Indian record shops, as well as Greek and Turkish. Even Albanian! The US is a melting pot so I’m sure you have lots of migrant music shops but perhaps not the proliferation we had. And the US has all those great black American and Latin music outlets, often mom and pop stores, they had stock that UK music fans would have killed for — because the music was made in and for the communities those stores were based in. So, yeah, that’s a real difference. You write about how back in the day, many shops brought in American imports of jazz, folk blues, soul and early rock ‘n’ roll and created a demand for these different styles of music. What inspired these shop owners to carry selections from the U.S.? Well, UK music fans have been obsessed with American music since at least the 19th Century when minstrel troupes began touring. Jazz hit hard here post—WW1 and that created real demand for hot American music. And it’s never stopped. And the big UK record labels were often very old school, very conservative, so often not releasing stuff they even had access to. So, the shops had to import the records and, in doing so, created a lifeline between American music and UK music lovers — considering for decades there was a union ban on American musicians playing in the UK the shops managed to, at least, bring the music over. Also: a lot of great US music came out on independent labels that had no UK distribution — Transat Records supposedly set up in 1961 simply to stock Stax releases for London R&B fans! When techno and house took off it was the same — kids queuing outside on a Saturday morning to get the fresh imported 12-inch dance 45s from Detroit and Chicago. And those kids went home and studied those records and set about making their own music. Acid house, what a game changer! Can you reiterate the impact record stores have made on the development of some groups and different genres of music throughout the years? It’s impossible to underestimate the importance UK record shops played in the development of British music in post—WW2 UK. I’ve mentioned Van Morrison and Belfast’s Atlantic Records but there are so many others: Chris Barber formed his first band amongst fellow jazz fans he met in Dobell’s; without Brian Epstein’s brilliant NEMS shop, The Beatles would have remained a band with only a following in Merseyside and Hamburg; the ska shops acted as sound systems for the Jamaican community and turned many white kids onto hot music; the punk shops acted as a revolutionary vanguard for new music while the dance shops allowed DJs — who either shopped or worked in them — to test out their own mixes so creating the foundation for EDM and much else. Record shops were community hubs and creative hothouses. They served a role far beyond simple retail, they were laboratories where musicians met and shared ideas and made contacts. Do you think that the quality of music has suffered from the decline of the record store? That’s a tough one. 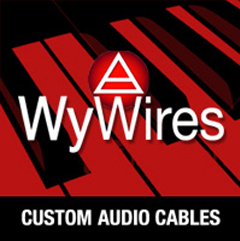 It’s easier than ever before to hear music now via the internet so music lovers have ever more access to sounds. What I will say is that the discipline of going to a record shop and carefully selecting a specific record and taking it home and listening to it lead to a focus, a commitment, that is absent when you have a free—for—all smorgasbord of music. We are spoiled for choice today and spoiled people don’t often make great art. As I tend to prefer music from the analogue era I’d probably agree that, yes, the decline of record stores reflects a decline in music making. Why do you think vinyl and record stores are making a comeback? Because little in life is more beautiful than a black beauty — as Paul McCartney called getting new 7—inch 45s! Records are fabulous items — 78s, 45s, LPs, I adore them and love to seek them out. And the youth, after having all the music they wanted on their phones, started to realize that this vintage vinyl thing not only looked cool but sounded fabulous. Which is good. Record shops are sonic temples and I’m pleased to see that youngsters are excited about the arcane rituals and spiritual uplift they provide. A good piece about Garth’s great book. 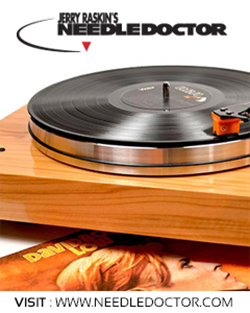 It really is essential for anyone REALLY interested in records!